Pharmacy Faculty of Hasanuddin University, South Sulawesi, Indonesia. This study aims to identify endophytic fungi from medicinal plant Mellochiaumbellataand investigate their antibacterial potencies. Twelve species of endophytic fungi weresuccessfully isolated from Mellochiaumbellataleaves and twigs. 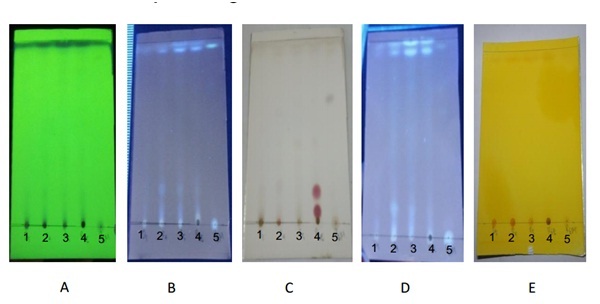 Four of them showed an activity in the antagonist test against Escherichia coli, Pseudomonas aeruginosa, Vibrio cholerae and Shigelladysentriae. The active isolates were fermented in potato dextrose yeast (PDY) medium at 25oC for 21 days with agitation of 150 rpm. The secondary metabolites were extracted from the fermentation medium using ethyl acetate and the mycelia were extracted using methanol. The ethylacetate and methanol extracts were assessed for their antibacterial activity against the pathogenic bacteria and some of the isolates extract showed antibaterial activity with inhibition zone obtained were between 0 and 10,51 mm.From ethyl acetate extracts, We were obtained MUD5 94 mg withinhibition zone 8,08 mm against E. coli, 10,51 against S.dysentriae, 7,81 mm against P. aeruginosa, 9,00 mm against V. cholerae, MUR4 116 mg with inhibition zone 8,61 mm against E. Coli, MUR5 was obtained 93 mg with inhibition zone 7,54 mm against E. coli, and MUR6 96 mg with inhibition zone 7,44 mg against P.aeruginosa. While from methanol extracts were obtained MUR6 516 mg with inhibition zone 9,3 mm against P. aeruginosa. Phytochemical identification revealed that the active extracts contain alkaloids, flavonoids and steroids. From this present work, it can be concluded that these endiphytic fungi could be promisng source of bioactive compounds and can be used for further study. Keywords: Antibacterial Activity; Endophytes;MellochiaUmbellata; Mycelia. The discovery of natural products and novel bioactive molecules have played major role in the search for new drugs.2Microorganisms present in living tissues of various plants parts (root, fruit, stem, seed, leaf, etc.) provide mutual relationship without causing any symptom of diseases are called endophytes.1 The host is protected from infectious agents and adverse conditions by endophytic fungi. This protection held withthe secretion of bioactive secondary metabolites.Biologically active compoundsfound in endophytic fungi which resides asymptomatically in internal tissues beneath epidermal cell layers and lives within the intercellular spaces of the tissues and it seems that they may penetrate the living cells of all higher plants2. Endophytic fungi are a good and interesting source of antibiotics. Natural products from endophytic microbes have been observed to be able to inhabit or kill a wide variety of harmful disease-causing agents but not limited to phytopathogens, as well as bacteria, fungi, viruses and protozoan that affect humans and animals1. Isolation of endophytes is an important step, because it requires sensitivity to recover a maximum number of colonized endophytes and should be accurate enough to remove the epiphytic microbes which are present on the plant surface. Endophytes can be isolated from various plant parts such as seeds, leaves and stems2. The collected plants for studying endophyticcommunities should look apparently healthy and disease-free plant to decrease the possibility of pathogenic and saprobic species contaminant, and to avoid the isolation of pathogenic endophytic microorganisms around it2. Studies about the endofotic fungi have been widely conducted in some countries.Recent study showed that Mellochiaumbellataleave extract triggered antibacterial activity against Staphylococcus aureus, andShigelladysenteriaewith inhibition zone of 10.5 mm (2500 ppm) and 9.36 mm (2500 ppm), respectively3. In this study, we focus on the isolation and identification of endophytic fungi of Mellochiaumbellataand the screening of their antibacterial activity and to identify the phytochemical compounds in the extracts of endophytic fungi. Leaves and twigs were thoroughly washed with mild detergent andrunning tap water and then air–dried. After which theywere surface sterilized by using 3 step surface sterilization start with submerging them in 75%ethanol for 3 min. Further sterilization was performed by using 5.3% sodium hypochlorite solution for 5 min, and 75% ethanol for 0.5 min, sequentially. Aftersterilization, samples were washed with sterile water to remove ethanol residues. Each leaf was cut into 1 cm in size and twigs were cut into two pieces. Samples were placed at the surface of sterile potato dextrose agar (PDA) medium and incubated for 3-5 days, at 25oC. Thefungal isolates were identified based on theirmorphological characters6,7,8,9. The fungalendophytes were mass cultivated on potatodextrose yeast (PDY) by placing agar blocks of actively growingpure culture (3mm in diameter) in 250ml Erlenmeyerflasks that contain 100ml medium. The flasks wereincubated at room temperature for 21 days with periodicalshaking at 150 rpm. After incubation period, culture media and mycelia were separated by filtration and extracted with the method described by Dasaleet al (2013).The Fungi mycelia was extracted in 100 ml methanol using sonicator for 30 minutes. The mycelia extract was filtered and evaporated. The culture media was extracted by liquid-liquid extraction using ethyl acetate in the same volume with the media. Extraction was repeated three times and the organic solvent of collected extract was evaporated under reduced pressure. The crude extract was then disssolved in Dimethyl sulphoxide (DMSO) for antibacterial bioassay. There were 4 strains of patogenic bacteria which were used for the antibacterial activity of fungi. They wereE. coli, S. dysentriae, P.aeruginosa,and V.cholerae. Endophytic fungi cultures were transferred to petri dish which consisted of nutrient agar medium and patogenic bacteria. The dishes were incubated for 24 hrs, at 37oC. The agar well diffusion assay method was used to examine the antibacterial activity of fungi. In this method, wells were aseptically made in seeded media using sterilecork borer and 20 µl bioactive metabolite was dropped in the previously prepared wells and incubated at 37oC in bacteriological incubator for 24 hrs. 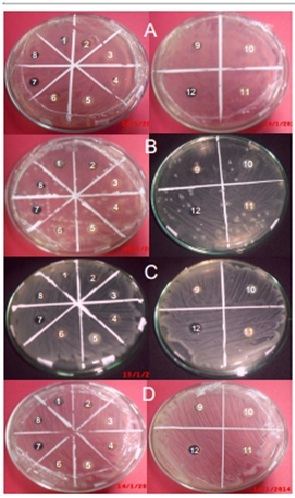 Finally, plates were observed for zones of inhibition and their diameter was measured with Antibiotic zone scale. The active antibacterial isolate extracts were identified for their phytochemistry compounds. These were done by thin layer chromatography method. The extracts were eluted using hexane: ethyl acetate (2:1)and the results were observed under UV 254, 366 nm and visible (after sprayed with 10% H2SO4). For Alkaloid identification, the spots were sprayed with dragendorfragent and for flavonoid identification by using sitroborat reagents11,12. In the present study, fungal strains were isolated from leaves and twigs of Mellochiaumbellata. A total of 12 fungi wasisolated.Four most active isolates from antagonist test which showed the biggest inhibition zone were fermented. The active endophytic fungi were fermented for 21 days using PDY to obtain the secondary metabolites. The fermentation broth or supernatant was extracted with ethylacetate and the biomass was extracted with methanol. Screening of endophytic fungi to determine antibacterial activity was executed by agar well diffusion method against 4 pathogenic human bacteria (Escherichia coli, Shigelladysentriae, Pseudomonas aeruginosa,and Vibrio cholerae). Extraction of isolates in 200 ml PDY medium resulted in 94 mg ethyl acetate extract from MUD5 isolates, 116 mg extract MUR4, 93 mg extract MUR5 and 96 mg extract MUR6. The methanol extract obtained were 257 mg from MUD5 isolates, 97 mg extract MUR4, 614 mg extract MUR5 and 516 mg extract MUR6. In antibacetrial activity, MUD5 showed high inhibition zone, 8,08 mm against E. coli, 10,51 against S. dysentriae, 7,81 mm against P. aeruginosa, 9,00 mm against V. Cholerae. Diameter of inhibition zone of MUR4 was 8,61 mm against E. Coli, MUR5 was 7,54 mm against E. Coli, and MUR6 was 7,44 mg against P. Aeruginosa. While from methanol extracts were obtained MUR6 with inhibition zone 9,3 mm against P. Aeruginosa. Phytochemical identification were carried out for all the active extracts and showed that ethyl acetate exttract of MUD5, MUR4, MUR5, MUR6 contained alkaloid compound based on red spot formation on thin layer chromatography after spraying of Potassium Bismuth Iodidesolution. Flavonoid content of all active extracts showed by the light green spot on uv 366 after being sprayed with sitroborat. From the preliminary phytochemical screening also revealed the presence of steroids in ethyl acetate extract of MUR6 based on the formation of red spot after the spot being sprayed with H2SO4 10%.(Figure.3). Various species of endophytic fungi made an ecological niche in the inner space of plants. The fungi interact with their environment in a possitive manner in the role of improving plant defence and disease control. Endophytic fungi isolation from medicinal plantresults in the production of bioactive metabolites which has a great activity against microbes. Hence, scaling up the production of bioactive metabolites is necessary to fullfill the demand of agriculture and pharmaceutical industries. 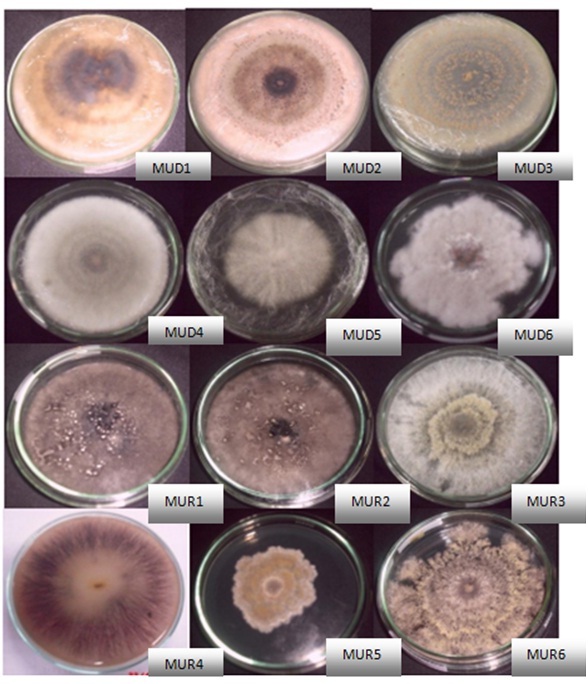 In this study, we have isolated 12 endophytic fungi from Mellochiaumbellata. Ethylacetate extract from fungi isolate (MUD5) shows activities against E. coli, S.dysentriae, P.aeruginosa, and V.cholerae.MUR6 produce active secondary metabolites againstP.aeruginosa, both in the supernatant and the biomass. Phytochemical identification showed that all active extract consist of alcaloids, steroids and flavonoids compound. The present investigation was an attempt to search for potential endophytic fungi from Mellochiaumbellata. The study revealed the active antibacterial extract which were extracted with ethyl acetate and methanol. Four active ethyl acetates and 1 active methanol extract were examined for their antibacterial activities based on their inhibition zone diameters. Therefore, further determination of active metabolites content in the extractneeds to be investigatedquantatively and completely. Beside that, TLC bioautography need to be developed in case to investigate the active antibacterial fraction. 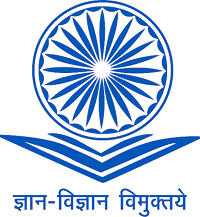 Sandhu SS, Kumar S and Aharwal Isolation and Identification of Endophytic Fungi from RicinusCommunis Linn. And Their Antibacterial Activity. International Journal of Research in Pharmacy and Chemistry,2014; 4(3): 611-618. Selim KA, El-Beih AA, AbdEl-Rahman TM, and El-Diwany AI. Biology of Endophytic Fungi. Current Research in Environmental & Applied Mycology. 2012;2(1): 31–82. Wullur S, Firdaus, Natsir H, andSoekamto NH. Study of Compounds from Extract of Melochiaumbellata (Houtt.) Stapf var. Degrabrata K. (Paliasa) Leaves that has Potential as Antibacterial. Indonesia ChimicaActa.2015; 8(1). Selvi KB &Balagengatharathilagam P. Isolation and Screening of Endophytic Fungi From Medicinal Plants of Virudhunagar District for AntimicrobioalAcitivity. International Journal of Science and Nature. 2014; 5(1): 147-15. DasaleMG and Bodhankar MG. Animicrobial Activity of Endophytic Fungi Isolated FromVitexnegundo International Journal of Current Microbiology and Applied Sciences. 2013; 2(12) : 389-395. D`Sauza MA and Hiremath KG. Isolation and Bioassay screening of Medicinal Plant Endophytes From Western Ghats Forest, Goa, India. Interntional Journal of Advanced Research in Biological Sciences. 2015; 2(8): 176-190. Pavithra N, Sathish, and Ananda K. Antimicrobial and Enzyme Activity of Endophytic Fungi Isolated from Tulsi. Joutnal of Pharmaceutical and Biomedical Scienes. 2012; 16(12) : 1-2. Verma SK, Kumar A, Ashish, Debnath M. Antimicrobial Activity of Endophytic Fungal Islate in Argemone Maxicana; A Traditional Indian Medicinal Plant. International Journal of Innovative Research in Science. Engineering and Technology. 2014; 3(3) : 10152. Muzzamal H, Sarwar R, Sajid I, and Hasnain S. Isolation, Identification and Edophytic Bacteri Antagonistic to Biofilm Former. Pakistan Journal of Zoology. 2012; 44(1) : 250. Huwaitat S, Al-khateeb E, Finjan S. Isolation and Identification of some Phytochemical Compunds from Different Parts of Iris Nigricans. Europan Scientific Journal. 2013; 9(6) : 32-37.